Fischer’s Jewelry address, phone, website, hours of operation, and more. 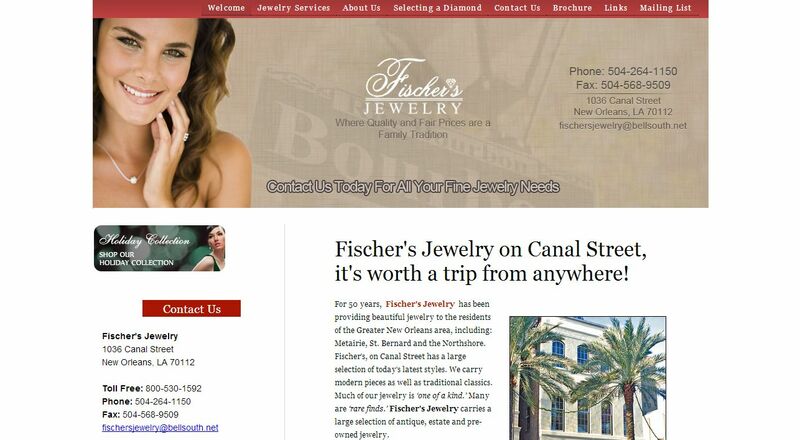 Since 1962, the people of New Orleans have trusted Fischer’s Jewelry for all their jewelry needs. We are located at the corner of the world-famous South Rampart and Canal Street, offering friendly service, low prices, and one of the largest displays of jewelry throughout the deep south. The Fischer staff includes a graduate gemologist, with certification from the Gemological Institute of America (GIA). We also provide an extended layaway program for your purchasing convenience. The Fischer clientele encompasses people from across the United States, including many long-time, satisfied customers who return often, bringing with them, friends and family members for the Fischer’s experience. We are active members of the Jewelers of America, the Jewelers of Louisiana, and the Jewelers Security Alliance.